“ . . . one of the wonders of World Trance Music” - LA Times. “Near Eastern art music, deeply moving and utterly beautiful” - by Rhythm Magazine. "Beyond Denial" displays a unique and dynamic artistic vision. " 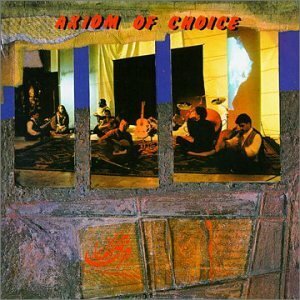 ...A strong new sound...rich vocal textures, excellent musicianship...Axiom of Choice may well move into the front ranks of experimental world music" - CMJ. "With their first album, Beyond Denial, Axiom of Choice offers up a revision of Persian classical music more accessible to ears attuned to Western pop, folk and soundtrack music. Along with standard Persian instruments like the tar and tombak (and the Kurdish daf), the group features synthesized bass and two Western acoustic guitars, one rigged with extra frets so that it can play the quartertones of Persian scales. The first album “Beyond Denial” was described as “Near Eastern art music, deeply moving and utterly beautiful” by Rhythm. 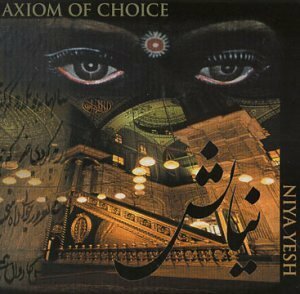 The second release “Niya Yesh” became the winner of NAV’s best contemporary world music album in 2001. They were nominated Best Recombinant World Music Ensemble in 2001 by the LA Weekly Music Awards. The third album “Unfolding,” is inspired by the Persian poet, mathematician, and astronomer Omar Khayam and embraces his mystical poetry and vision. PERSIAN EMIGRE ARTISTS ROOTED IN RADIF TRADITION RISK GOING BEYOND THE FAMILIAR TO CREATE NEW HAUNTING MELODIES OF THE DESERT STORM WITHIN. There is an exciting and profound artistic value in the mathematical principle, Axiom of Choice. The mathematician has the right to choose elements without explanation. In a world where everything must be explained, these choices are voluntary and do not need explanation. As a group of émigré artists, we choose to express ourselves in music, no longer bound by the traditions of Persian music. Yet in its very depth, our music comes from that tradition. "Beyond Denial" is the first project in the Axiom of Choice series. We have risked altering techniques of sound production to create new sounds. The vocal expressions capture emotions such as agony, fear, tranquillity and modesty, usually not expressed with such force. Quarter-tone frets were added to the guitar, widening the range and making it possible to play the Persian Radif in new ways. The Tar is played with spontaneous rhythmic structures and melodic integrity, to freely express the emotions and thoughts evoked by images. It is in these ways that this work is also an expression of young contemporary Iranian artists in the Western community. As a guitarist, I found the nylon string guitar to have the warmth and haunting sound required for the middle eastern music. Quarter tones are part of the Persian modal scale and therefore cannot be played by simply bending the strings. The value of the quarter tones and the half tones (in special cases) would change from one modal scale to another. This meant, in this case, that the fixed frets normally found on the guitar were too limiting. I decided to replace the steel frets with gut frets, adding twelve more to produce the quarter tones. Therefore, it is a special feature of this guitar that the modal scales can begin from any note, without changing the tuning. There is a wealth of techniques for guitar available that can be used in Persian music to produce new textures and sounds. One includes finger picking, which allows the player to play different drones, which results in a wide range of overtones. By letting some notes ring, new intervallic relationships are created which embody new tensions and new energies. I am excited about the possibilities of this new instrument. I hope that it will be adapted to other forms of Middle Eastern music. 1. We would use simple, artistic concepts -- not Western harmonies. We felt that randomness and chaos in confined form could generate harmonious patterns in melodies and sound. 2. Music becomes bold and effective when stated in a direct manner. In order to achieve that, we decided to reduce the ornamentation and emphasize the main structures. 3. Musical texture must be rhythmically dynamic, which means it must have at least two levels of complexity, from gross to subtle. It must feel natural, yet be challenging and coherent. 4. Melodies should not only sound Persian, but in their very depth, should come from the Radif (the repertoire of the classical Persian music.) 5. We are committed to capturing the vision within the music, not the melodic structures of the Gusheh (melodic structures within the Radif.) That meant we altered these melodies where necessary. 6. The poetic images inspired and assisted the musicians in the creation of these compositions. It is our hope that these images are captured in the music, and then transmitted to the audience. "Desert Storm" is a central piece in the project which captures the fierce images and intense emotions of this horrible occurrence. The war was the climax of the destruction that had taken place in the region for the last twelve years -- an extremely tragic and fearful event which touched me deeply. The poem "Hast Shab" is modern form of the poetry in Iran, with desert imagery that presents powerful metaphors for death and destruction. As the musicians internalized these images, their contributions transformed the composition. As such, the piece became a dynamic reflection of our shared experiences. "Mitaravad Mahtab" is the result of three readings of the poem, randomly superimposed upon one another. It is my own inner rhythms that bind them together. In this process, the phrases were distorted, creating an unexpected emphasis on certain words and a re-creation of the poetic images. I hope that this freshness will penetrate into deeper realms, bypassing rational interpretations. This project became complete with contributions from all the musicians, who brought with them their distinctive knowledge, techniques, and creativity. They were willing to take chances and risk going beyond their usual musical expectations. For many of us, the Gulf War was a brief, disturbing blip on the radar screen of our nation's history. Axiom of Choice, a group of Persian immigrants now living in California, are here to remind us that for those who lived through it, that first month of 1991 was cataclysmic - the culmination of more than a decade of senseless bloodshed in the region. The principal members of this talented 7-member band are all well-versed in classical Persian music, and though the melodies and rhythms of Radif - the Persian classical repertoire - saturate their brooding, deeply moving disc, they are by no means slaves to tradition. Call it experimental Near Eastern art music, infused with overtones of Sufism, not to mention ripping percussion. Leader/guitarist Ramin Torkian plays a nylon-stringed classical guitar, retooled with movable frets, so he can approximate the untempered intervals of Persian music. 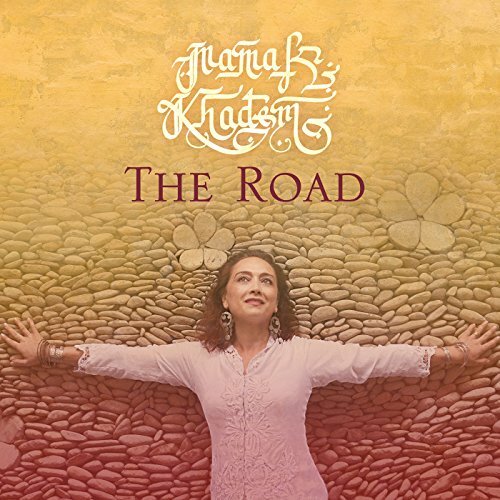 The effect is utterly beautiful, as is the voice of Mamak Khadem, which rings out through the album like a crystalline bell of despair and pain. On the opening track, "Valeh," she's multitracked over Torkian's descending arpeggios, her "voices" hovering and quivering like unquiet souls suddenly released from this troubled plane. Beyond Denial is a fine first effort - a chronicle of armed conflict in both the inner and outer worlds. It's heavy stuff, though the group does lighten it up a bit on "Rhythm Riddle," a sort of Brazilian Jazz meets Eastern classical romp. 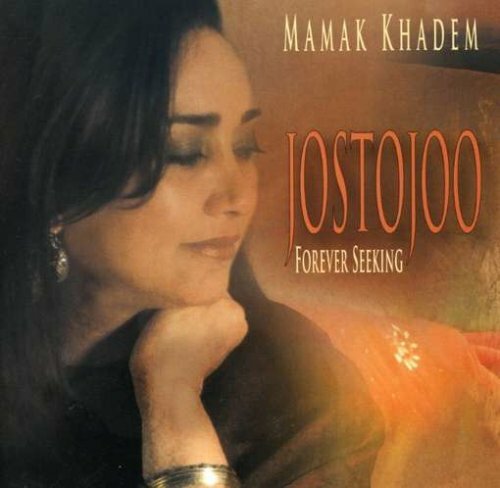 Again, Mamak Khadem's voice shines here like a rare, precious stone. I look forward to hearing more from Axiom of Choice and other artists on the curiously-named X Dot 25 label.